The mark of a great video game is simply how well you can lose yourself in it. Have you ever played a game without noticing that hours have gone by? If so, you’ve likely had a great gaming experience. But when you’ve stepped away from the game, where does that leave you? What might cause players not to finish a game? Some players may lose interest in a hard-earned journey, while many other players are low-incentivized to frequently revisit a solely virtual adventure in between real-life matters. Perhaps, then, the gaming experience needs a more physically gratifying takeaway. This is where Merge applies. President Obama declared in his 2013 State of the Union that 3-D Printing “has the potential to revolutionize the way we make almost anything” in that it speeds the manufacturing process and makes it possible to produce the “parts” with the “whole” more securely and efficiently. For this reason, 3-D Printing has shown great potential in subsidizing a variety of fields including engineering, education and the arts. This sentiment can be applied to video games as well. Using 3D printing technology in conjunction with virtual gaming, Merge combines the immersive experience of an interactive virtual world with the gratification of physical rewards. The first is a video game. Utilizing the Unity developing engine, Merge provides a lighthearted, futuristic video game. The game tracks the adventures of Printy, a sentient robot on a mission. Formerly a 3-D printer, Printy gained personality and self-determinacy by the controversial experiments of his former owner, the scientist Dr. Frank. However, when humans moved off-world due to the increasingly unsupportive nature of Earth’s atmosphere, Dr. Frank left Printy and the bulk of his work behind out of necessity. Printy now seeks to reunite with Dr. Frank at the human space colony where Dr. Frank now resides. There will be minigames embedded in the overall story to supplement the adventure. 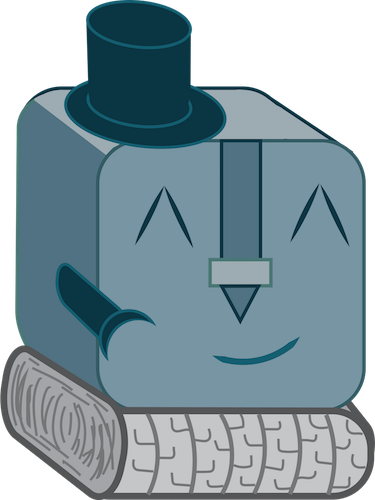 In the game, Printy will also discover opportunities for him to print upgrades for himself. These upgrades will take different forms, often hats that will supply knowledge on certain problems and abilities and swords that will correlate with different strengths and abilities. The game will also embrace a community aspect. Players can take a quiz to be sorted into a faction correlating to a story-based game aspect, like a robot type. Players can then both be a part of a community of like-sorted individuals as well as team up to compete against other factions through a points system. Individuals will gain points that will contribute to the faction’s overall points. The second part of Merge brings the game into the physical world. The player can then print upgrades in real life and time to personalize their own customizable Printy. 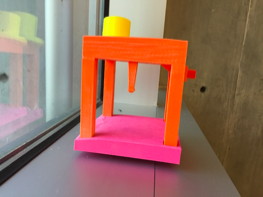 In doing this, the player will also gain additional help to move them along in the game in the form of clues on the 3-D printed objects. The models are all created using the 3-D print modelling program, Blender. Merge will also embrace a real-world local community aspect in addition to it’s online community. 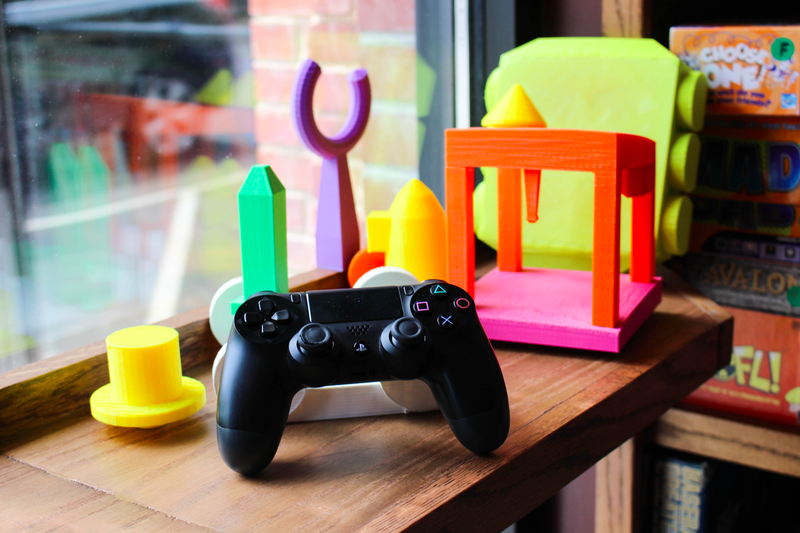 We have spoken with representatives from Rook and Pawn, a local gaming store and community center about their interest in investing in a 3-D printer in support of the Merge concept. Although Merge provides its own game for the dually virtual and physical experience, the best part of Merge is that this concept can be applied to almost any video game, truly enhancing your gaming experience. On one hand, think of games like Pokémon and Minecraft. These games have communities in which collecting models is popular for showcasing enjoyment of and attachment to these games. The Merge concept would allow for easier ways to get these models. On the other hand, Merge can enhance gameplay as well with games such as detective-style mysteries. Examining a physical clue to further progression of the in-game story would provide a more involved experience.